Spectators in Buenos Aires witnessed a fantastic conclusion to the Junior Girls' Singles competition at the 2017 Pan American Junior Championships, after Bruna Takahashi pulled off a spectacular victory against top seed Adriana Díaz (7-11, 6-11, 11-3, 11-5, 13-11, 6-11, 12-10) in dramatic style on Sunday 25th June. In a repeat fixture of the 2016 Pan American Junior Championships final Adriana Díaz was aiming to defend her Junior Girls’ Singles title in front of the crowd in Buenos Aires, Argentina. However, there would be no repeat outcome one year later in the 2017 final as Brazil’s Bruna Takahashi put in a brilliant performance beat the Puerto Rican in seven games. Top seed for the tournament Adriana Díaz managed to gain the upper hand in the early stages of the final, and the Puerto Rican star looked set to run away with a comfortable lead after she emerged successful in the opening two games. 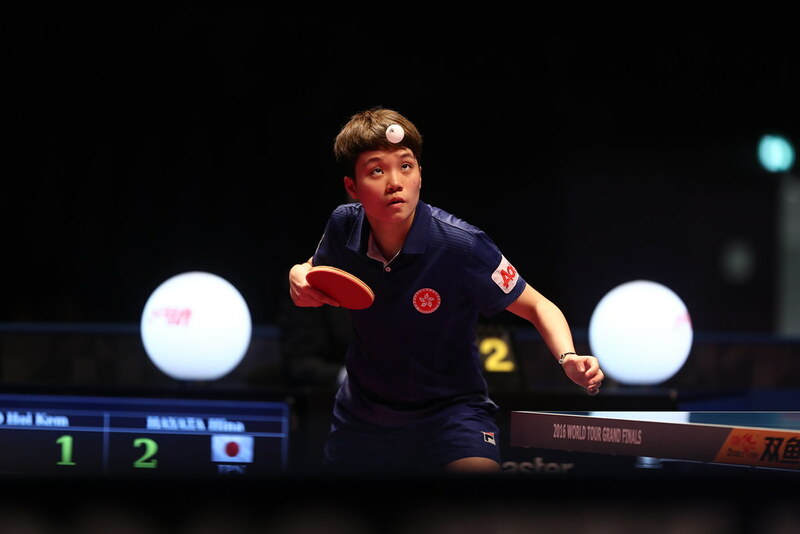 However, Bruna Takahashi had other ideas and not only did the Brazilian representative recover to level the tie, but she went on to take the lead following three consecutive game victories. Both finalists continued to demonstrate their trademark attacking capabilities, and much to the delight of the crowd the title encounter was forced into a deciding seventh game after Díaz impressed broke Takahashi’s momentum boost with a positive display in the sixth end. The match was in the balance and very often gaining an early advantage in the decider can prove vital. Díaz looked all set to defend her Junior Girls’ Singles crown, as the 16-year-old not only managed to move 3-5 ahead but extended her lead to a commanding 4-10 points scoreline. Then out of nowhere the match was completely turned on its head. Takahashi, who was staring down the jaws of defeat, recovered eight points in a row to steal the trophy from Díaz in a thrilling conclusion to the tournament (7-11, 6-11, 11-3, 11-5, 13-11, 6-11, 12-10).